The Winter Classic takes place on Jan. 2 at Citizens Bank Ballpark; a game that will feature the New York Rangers and the Philadelphia Flyers. Both teams have been playing good hockey and tonight they met up in the Garden. 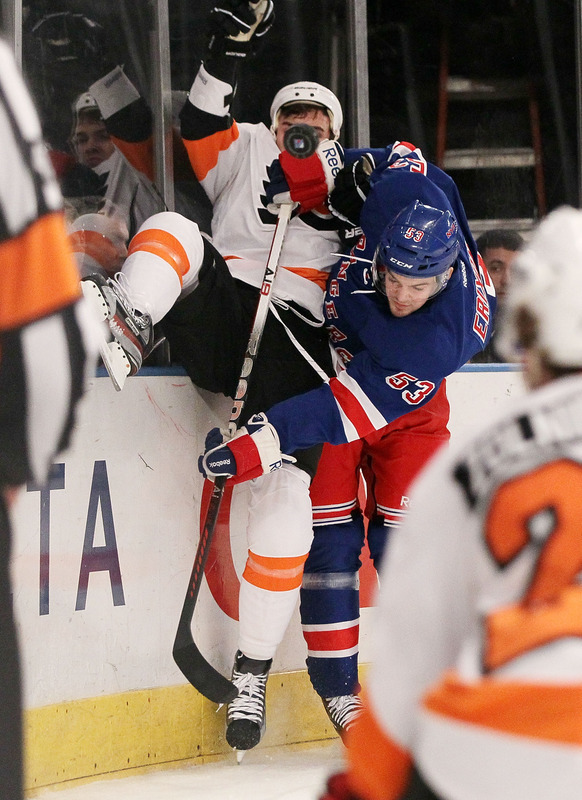 New York scored 3 goals first and cruised to a 4-2 win, due to a forgettable performance by Ilya Bryzgalov for the Flyers and a solid night for Henrik Lundqvist. Hopefully this isn't just a preview for these to rivals since their "Classic" will be on primetime TV and is less than two weeks away. Can hockey shine again in primetime television?